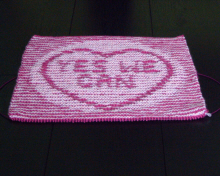 We have recently become interested in the use of lettering in illusion knitting. 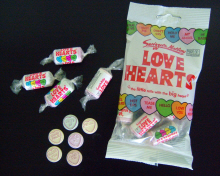 A representation of Love Hearts® seemed a good way to combine squares, circles, hearts and lettering. This alphabet is designed to be viewed from the bottom. 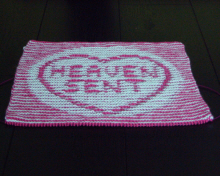 The squares are knitted separately and combined to make a blanket. 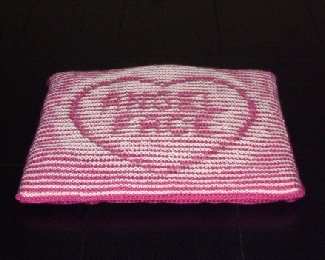 An individual square can be used to make a cushion. 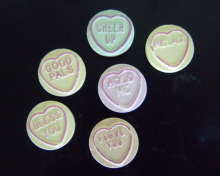 Love Hearts® are iconic British sweets manufactured by Swizzels Matlow and have been made in UK since 1933. 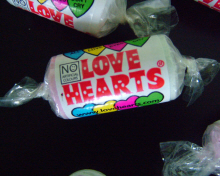 LOVE HEARTS® AND THE LOVE HEARTS ICON ARE THE REGISTERED TRADEMARK OF SWIZZELS MATLOW LIMITED, used with their permission. 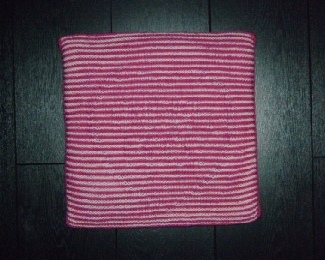 This is what you see when you look directly at the squares. The circles and hearts do not disappear completely as they do in our more complex illusions. You can always see a faint outline. 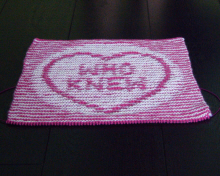 It is very difficult to photograph illusion knits. Lettering is positioned for ‘best fit’. Some traditional messages and some of our own. 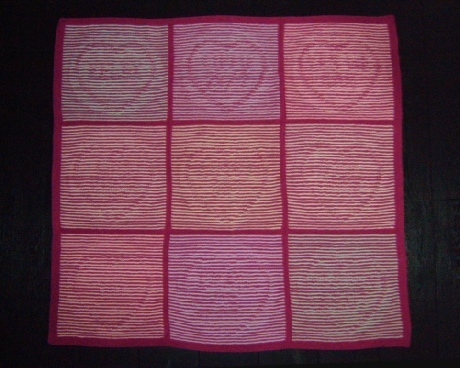 Master heart and circle with complete alphabet and instructions for making your own messages.